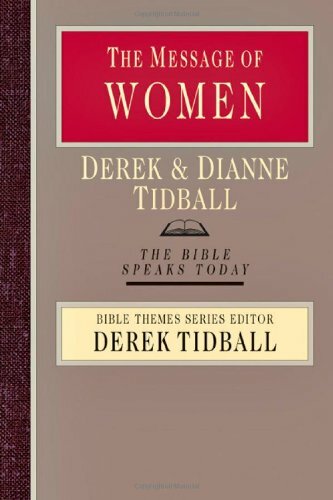 In this wide-ranging exposition, Derek and Diane Tidball attempt to defuse the ongoing polemics surrounding gender in Christian witness with a refreshing firsthand look at the place of women in the Bible. The authors begin with foundations about women in creation and in the new creation and then examine women under the old covenant, women with Jesus and in the kingdom of God, and women in the community of the early church. Dianne Tidball is currently the regional minister (team leader) of the East Midlands Baptist Association. She is the author of the Crossway Bible Guides to Peter and Jude and John's Letters.